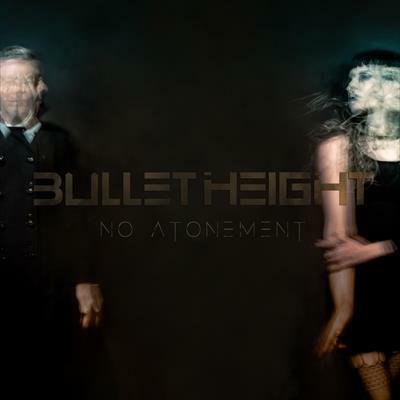 Pushing the play button on the debut album, ‘No Atonement,’ that is precisely what you get. 10 unpredictable tracks of dark, primal conviction, pulped with the avant-garde, fusing industrialised electronica, heavy guitars and heartbreakingly sweet melodies. In a deep breath of the less ordinary it’s a record that both bludgeons and seduces. Indication that Bullet Height is set to become one of the great collaborative alternative duo’s not seen since the likes of the Eurythmics or The Cult. 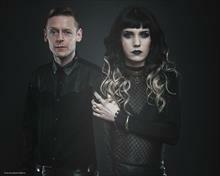 Because Courtney’s original vision it may have been, but the band is now undoubtedly he and Sammi Doll. A recording contract with Superball Music (part of the Sony Music group of labels) followed suit and whilst putting the finishing touches to the album, Bullet Height began gigging to an enthusiastic Berlin underground. “It's been quite the journey since we've completed the album,” comments Sammi Doll. “Everything from the mixes to the forming of the live element. It's shaped into something much bigger than we both expected." Like the best of artists, fear is the only thing they fear. Free living and creating on their own terms is the fuel in both their tanks. Sammi Doll moved from the UK to LA when she was just 4. She’s been a photographer and toured selling merch for the Go Go’s, Alan Jackson and KD Lang. In 2010 she joined indie, shoe-gazers ‘My Satellite’ until she moved to Berlin to join dark cabaret act, ‘IAMX’ for whom she still plays. Independent of the likewise, Sony signed, ‘Pure Reason Revolution’, Jon Courtney was also in the punk band ‘Gel’, signed to Sire by Seymour Stein. Now a DJ and producer in his own right, under ‘KC Blitz’, with mixing partner Jamie Kossoff (K), Courtney (C) has done a number of remixes, including for ‘Asking Alexandria’ plus additional production & remixes for ‘Bring Me The Horizon’. And so of that weave around the proverbial block, it seems unification on, ‘No Atonement,’ is the culmination of the pair’s, until now, separate threads. Together they’ve reached Bullet Height. A product of ex-patriot London, set in dissident Berlin. Circa 2017.